Althouh i've started this one several days ago i finished it today. I want to Thank the people on animepaper.net 's session zero for the comments and suggestions, although it is a very different wall from the one posted there. 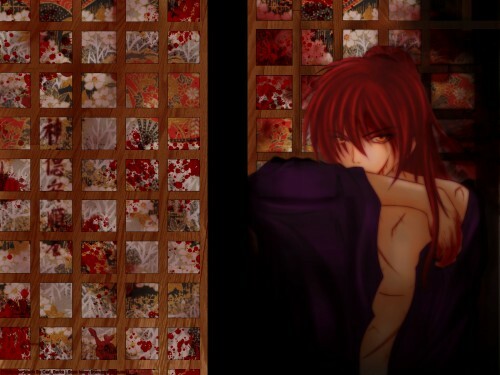 Wow, I love the image of Kenshin...such a nice image. The bg work is nice too. Very nice work. Omy! This is now my top favorite RK wallpaper. The scan, the patter you used, and the overall the, I suppose, "dark, deadly bloody" theme is very put together. It's awesome. Great work! Its really good, and Kenshin looks cool! I don't and I repeat, I don't like Ruroni Kenshin. But I loved your wall XD so I have to steal it XD thank you!